We are looking for individuals who are passionate about affordable natural health care, who would like to learn new skills while helping their community. 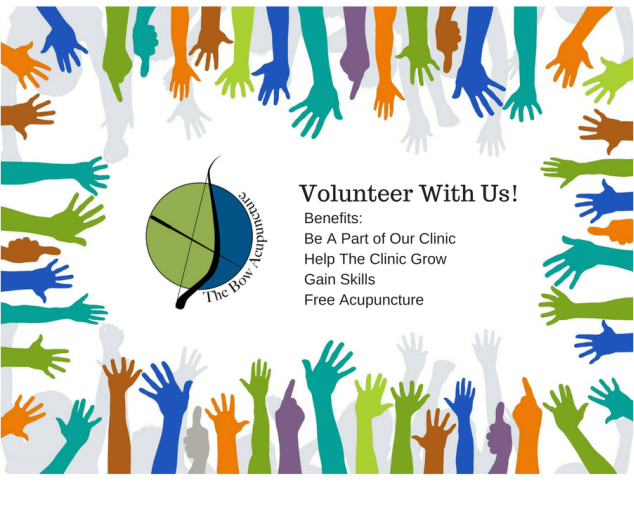 The Bow Acupuncture & Community Wellness is a Social Business. We exist primarily to provide affordable acupuncture and natural health care to the Jacksonville, FL and surrounding areas. *We need front desk volunteers, however, if you have another skill that you feel could benefit The Bow, please let us know. Some ideas include photography, videography, marketing and graphic design, etc.